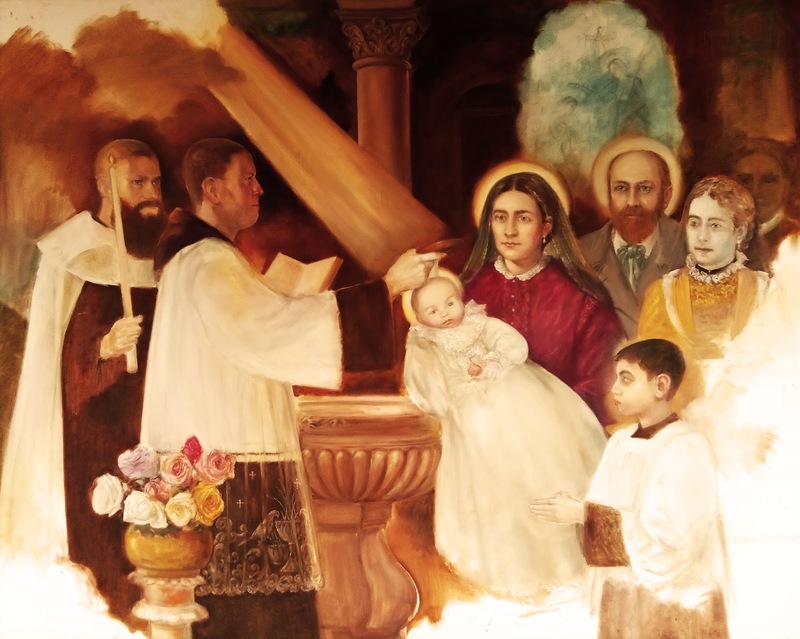 A new painting for the Baptism room at our Church,St Therese in Alhambra Ca. 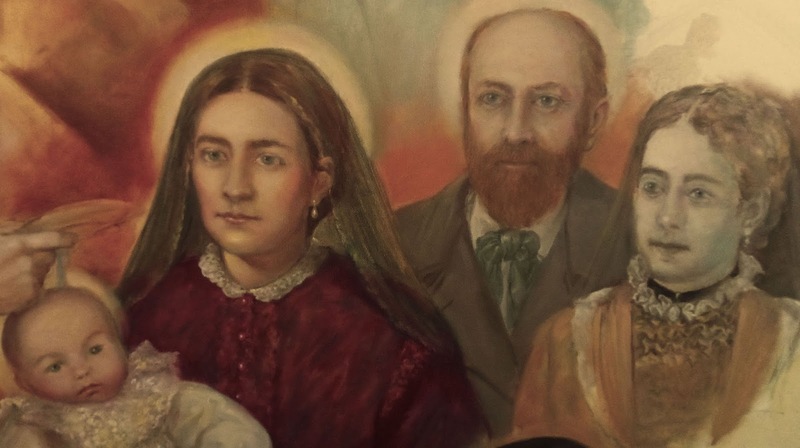 It depicts the Baptism of St Therese,with her Parents (both recently canonized) and her oldest sister Marie (Her Godmother). The painting measures 38x60. 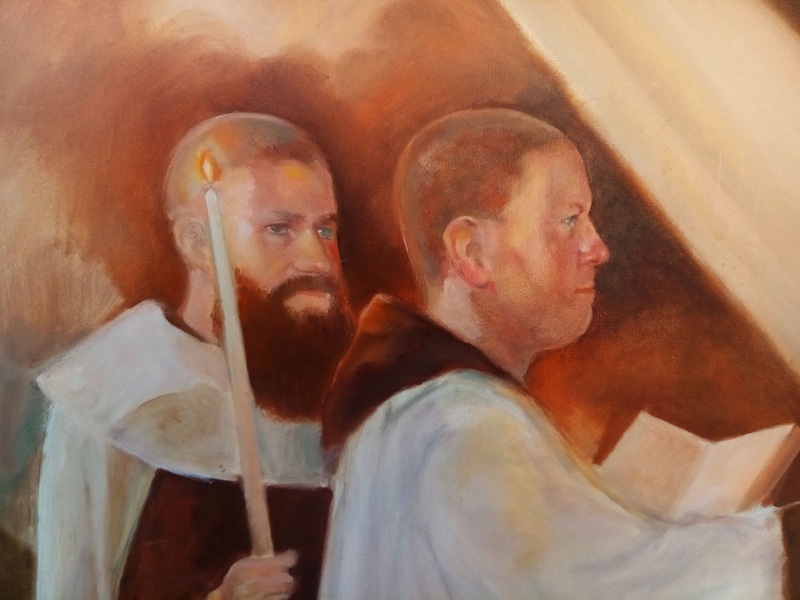 There will be some changes,the Carmelite Friars will be changed to secular Priests.